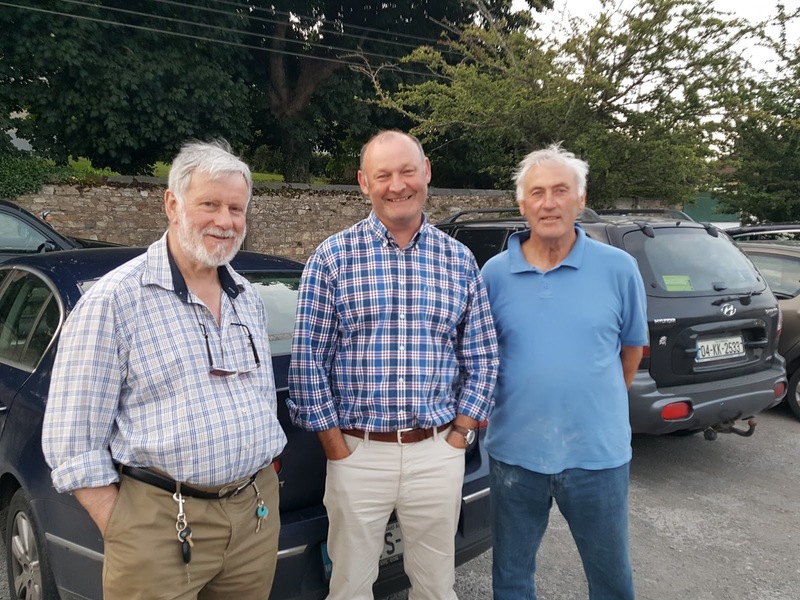 Earlier in the month, we teamed up with the Tipperary Heritage Office and Tipperary Branch of BirdWatch Ireland to go looking for Swifts in Clonmel. 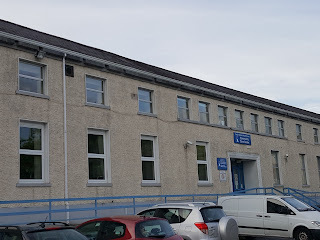 Arriving at the venue for the talk, St. Mary’s GAA Centre, groups of Swifts could be heard screaming overhead before even getting out of the car. With the sun splitting the stones and hardly a breath of wind, It was shaping up to be a great evening for Swifts. A group of keen Swift enthusiasts arrived for a talk on Swifts, including representatives from Clonmel Tidy Towns and Tipperary Tidy Towns. Following the talk we were guided by Kevin Collins of Birdwatch Ireland Tipperary Branch, towards South Tipperary General Hospital, which revealed a truly impressive site – a sky literally filled with screaming Swifts. A quick count (not an easy job, when dealing with Swifts!) 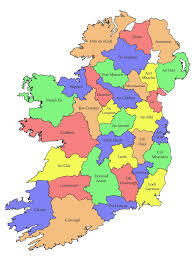 estimated 100 Swifts visible in the air over the hospital and GAA Centre in a single count. 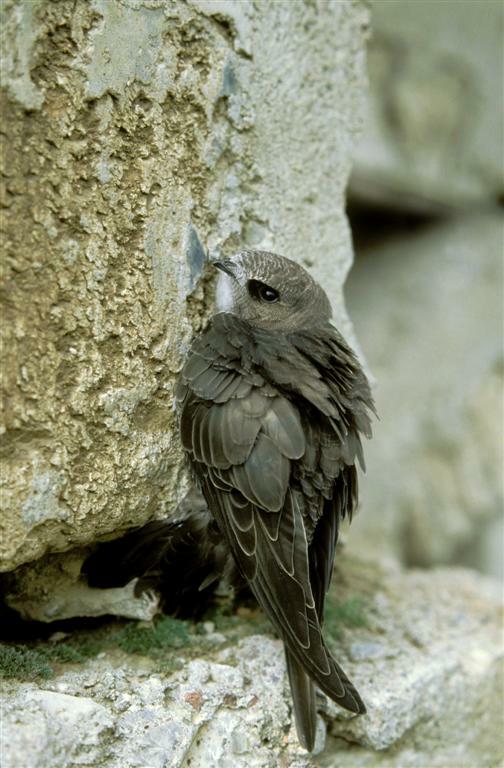 Kevin, who has monitored this Swift colony for many years could point out one building in particular, ‘The Community Care Building’ which was the hub of the nesting colony – with up to 50 pairs nesting in this building alone. The unusual design of the ventilation gaps in the soffit of the building have created an ideal home for Swifts to nest. 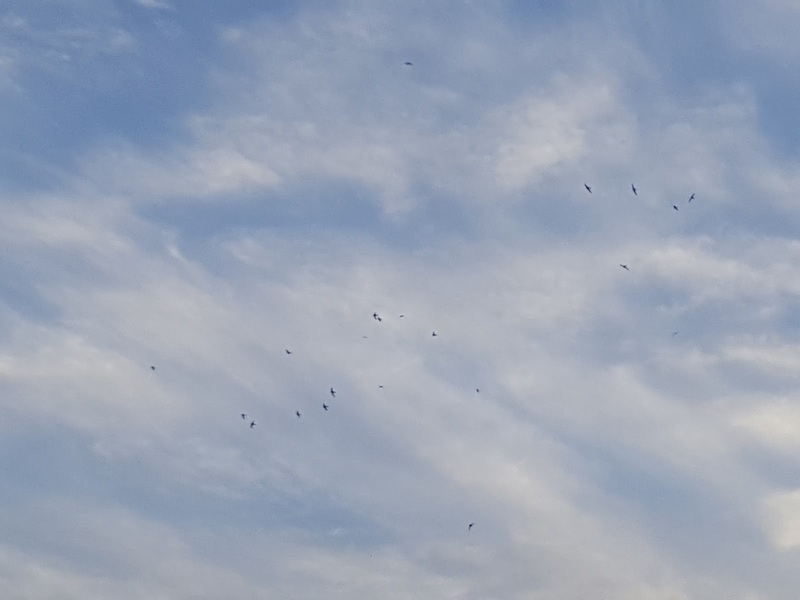 This is undoubtedly one of the largest colonies of Swifts in Ireland and a truly wonderful spectacle to watch and hear the aerial antics of the Swifts overhead on a summers evening. 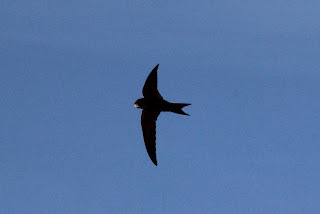 We are still looking for your swift nest sites and if you are aware of any colonies be it of one or fifty breeding pairs we want to hear from you!